Learn what the thyroid is, its relation to metabolism, associated problems and what the drug companies don't want you to know. I am certain that no one, including members of the medical profession, understands how widespread and monumental thyroid problems are in the United States. The problem is real. My friend and teacher, Dr. Harry Eidenier, Jr., told me years ago that 1,000 body functions are attributed to the thyroid—a low estimate by his own admission. Americans are inundated with the word "metabolism". But, ironically, most people have no idea what the term means. It&apos;s just a word we use to justify whatever we&apos;re discussing concerning exercise, weight loss, weight gain, bodybuilding, etc. ... but it sure as hell sounds good! Trying to separate the lies from the truth is just one of the constant difficulties along the trek through life. The thyroid works in a four-gland endocrine loop which includes the pituitary, the hypothalamus, and adrenals. This loop is your metabolism. Have any of the "smart guys" of the medical profession ever told you that? Of course not! Let me explain what happens when you&apos;re younger—I will give the example of a lady I used to go out with. Your metabolism changes as you age. 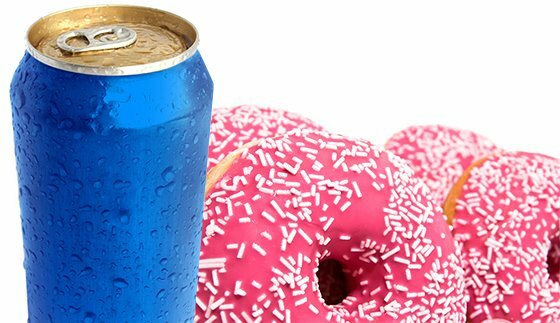 Unhealthy items like sugars and soda take a greater toll when you&apos;re older. We had confrontations regarding her eating habits and, consequently, we broke up because of them. Her idea of a supper was six donuts and a Pepsi. She was a beautiful lady but she started to gain weight. She couldn&apos;t understand why and she&apos;d say that when she was 15 years old she could eat anything she wanted. I would remind her that she wasn&apos;t 15 any more, that she was 34. I explained to her that from the time you&apos;re born to the time you are about 28-30 years old, you are in an anabolic state, which means you are "building up." That&apos;s why when you are younger, you can almost abuse yourself nutritionally and physically and it doesn&apos;t make a drastic difference. At that age your hormone levels are at their highest, your hydrochloric acid levels are at their highest, and every body function is just skyrocketing and almost perfect in most healthy individuals. But when you reach that magic age of 28-30 years old, you reach a crescendo. After that you go into a catabolic state; you can change drastically in one year if you don&apos;t take care of yourself. Even when you&apos;re younger, little exercise and little nutrition will stimulate your thyroid and your endocrine glands, but after you go into the catabolic state that isn&apos;t true anymore. Unfortunately, most people find that out too late. Vince Gironda used to say over and over again that the ignorance regarding nutrition in the sport of bodybuilding is monumental. I&apos;m writing an article this fall called the Truths and Myths of Exercise. I met a woman named Linda in my office a few months ago. She had gained weight over a period of 2-3 years. In an attempt to take it off, she was exercising like crazy, going to the gym every night, running, doing sit-ups and leg raises, lifting weights, sweating, and she wasn&apos;t losing weight. I told her that exercise does not reduce superfluous fat. She looked at me stunned because all the commercials on television and radio and all the ads in the magazines tell us that we can&apos;t lose weight unless we exercise. I told her that concept is a myth. Reo Blair and Vince Gironda used to say they could put you to bed and with the proper nutrition program, you&apos;d lose weight. I told Linda I was going to prove to her that exercise does not reduce superfluous fat. I gave her a hypothetical: Let&apos;s say you went to bed tonight and you did 1,000 legs raises, 1,000 crunches, 1,000 sit-ups, and 1,000 whatever. The next morning, when your stomach is hurting, what is actually hurting, the muscle or the fat? She looked at me and the light bulb went on and she said, "The muscle." I told her that was exactly right because you can&apos;t exercise body fat off and that the burning calories myth is just a figment of someone&apos;s outdated primitive theory. Vince told us that "definition" is the result of diet and thyroid, period! Remember, the calorie and sit-up B.S. makes millions of dollars, so why kill the goose that lays the golden egg? Gaining and losing superfluous fat is a chemical, metabolic, and internal process constituted by the action of the 4-gland loop: the pituitary, the hypothalamus, the adrenals, and the heater of the body, the thyroid. The outer part of the adrenal gland is called the Adrenal Cortex. It consists of the zona glomerulosa, the zona fasciculata, and the zona reticularis. It yields various steroid hormones. The Adrenal Gland is either one of two small, dissimilarly shaped endocrine glands, one located above each kidney, consisting of the cortex, which secretes several steroid hormones, and the medulla, which secretes epinephrine. It&apos;s also called the suprarenal gland. If you eat small meals and you get the junk carbohydrates out of your diet, you will lose body fat. That&apos;s why exercising didn&apos;t do it for Linda and that&apos;s why, when I owned the Power House Gym, hundreds of people would say that they were not losing weight despite the fact that they were exercising. The thyroid gland helps regulate body temperature, so if it malfunctions, your body struggles to burn calories. Once I corrected Linda&apos;s thyroid, the weight just started to melt off. If your thyroid is functioning poorly, your life will be a mess. I can attest to that, because I have fought thyroid problems for years, and it wasn&apos;t medical doctors that cured me. It is because of good nutrition that today I have a fairly healthy thyroid—not perfect, but fairly healthy. Vince Gironda always discussed the thyroid in his teachings. Most people didn&apos;t understand him then and most people still don&apos;t.
One of the tests I do for thyroid, along with muscle testing, is the iodine test, which I will explain to you if you call me (1-313-372-1807). Dr. Broda Barnes, M.D., created the Barnes Thyroid Test, which I will also explain to you if we make contact. Many clients have come to me with classic symptoms of poor thyroid. I tell them that their thyroid is not functioning. The clients will almost always tell me that they have been to see a medical doctor who advised them that their thyroids were functioning just fine. Just to again show you the ignorance of the medical profession, this is what the doctors do: They take a blood test and they send it to the lab (They used to do a thyroid uptake, but they don&apos;t do that anymore). The lab technician tests the findings and sees that T3 and T4 are circulating in the bloodstream. He sends the results to the doctor and the doctor tells the patient that his thyroid is fine. Wrong, Wrong, Wrong. Certainly the T3 and T4 hormones are circulating in the bloodstream, but let me tell you what happens, and why we have such monumental thyroid problems in America today. 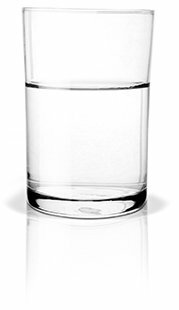 If your drinking water is polluted, then your body is too. Chemical pollution damages hormones and the glands that produce them. Many doctors don&apos;t understand that there are nasty things in our water and in our food called chlorine, fluoride, and bromides. We drink, eat, and shower in these poisons. The bromides are in all white flour which is used for cookies, pies, donuts, cakes, spaghetti, etc. Food manufacturers used natural iodine in various foods 20 years ago but, because iodine is more expensive, they replaced it with the dangerous halogen, bromide, in the quest for profit and due to "greeditis." One of my teachers, the heralded Dr. Kurt Donsbach in California, told me 25 years ago that half the cancers, half the thyroid problems, and half the heart problems are caused by our polluted water. What your medical doctor doesn&apos;t know is that these halogens move into your thyroid and "mimic" iodine. Besides your thyroid, halogens attack your heart and can cause cancer. When the chlorine, fluoride and bromide halogens move into your thyroid, they displace natural iodine, making your thyroid unhealthy. Your doctor then puts you on a synthetic hormone. At the turn of the 20th century, medical doctors leaned toward more holistic and natural treatments. They would put patients on porcine, or pig thyroid. When a racehorse is coming into the last turn, and he&apos;s tied with three other horses for the lead, the jockey whips the horse. That is exactly what Vince Gironda would tell us that all these synthetics do, they whip your thyroid and they make it work. The longer you use the synthetic, the more you need, and the weaker your thyroid gets, causing you to need even more, looping you into a vicious circle. However, I&apos;ve found that even if you&apos;re on a synthetic, you still have an iodine deficiency. Iodine is the number one nutrient for your thyroid. After iodine comes Vitamin E, protein, (because that is what the thyroid gland is made out of), essential fatty acids and tyrosine—not necessarily in that order. Cultures around the globe tend to have different health problems stemming from daily diet, pollution, food additives, and quality of medical care. These have a direct healthy effect on your thyroid. We affect our thyroids negatively by eating white flour, white rice and white sugar and the hydrogenated oils. Drug companies know what I&apos;m about to say is a fact but, just as Kevin Trudeau has proved in his book, Natural Cures "They" Don&apos;t Want You to Know About, they intentionally try to cover up all natural cures. Let&apos;s look at the men and women in America and the men and women in Japan. In Japan there isn&apos;t a prevalence of thyroid problems, ovarian cancer, breast cancer, or fibroid cysts. Why? Because the average Japanese man and woman gets 13-14 milligrams of natural iodine per day. Americans barely get 150 micrograms, which is virtually nothing! It&apos;s in the Japanese diet because they eat so much fish and sea vegetation, and their soil isn&apos;t depleted of minerals like American soil is. I recommend Sea Salt because it has many of the minerals that American&apos;s are missing from their diets. Drug companies and the medical profession know this, but they cover it up. The only way you can get what you need for a healthy thyroid is with a supplement. Adjacent to your thyroid, at the base of your brain, is the pituitary gland, which releases natural HGH—that&apos;s your fat-burning hormone and your muscle building hormone. Once you get your thyroid straightened out, also get your pituitary straightened out because it takes a beating under stress, just as the thyroid and the adrenals do. It is important that those three glands are well nourished with the nutrients I discussed earlier. Have you ever known anybody who is a "yo-yo" dieter, going up in weight, down in weight, up in weight again, down again? Then all of a sudden one day, for some reason, the yo-yoing stops. No matter what they do, they cannot lose weight. The hypothalamus, which senses feast or famine and which has been tricked over and over again, one day just says, "Look, I don&apos;t know what you want me to do, so I&apos;m not gonna do anything." I&apos;ll warn you right now, if you encounter this "yo-yo" long enough, you&apos;ll see that the hypothalamus is one of the most difficult glands to regenerate. It can be done, but it takes a long, long time. The hypothalamus sits at the base of the brain directly above the pituitary gland. Hormones secreted from the hypothalamus control the release of other hormones from the pituitary. Often the person becomes frustrated and turns to surgery or liposuction and they never deal with the problem; they just continue to deal with the symptoms. That, of course, is the cornerstone of the medical profession, to never deal with the cause, only the symptoms, because treating symptoms is profitable. Why get rid of the cause when it&apos;s an ongoing source of income for drug companies and medical professionals? Nearly everyday somebody calls me saying that they now realize just how brilliant Vince Gironda was and that he was truly revolutionary. Vince said all these things 60 years ago! As I&apos;ve said a million times, only about 10-15% of weight trainers will embrace Vince&apos;s methods. If you look closely, you will see that they are people who truly listen, question everything and have a certain degree of intelligence.